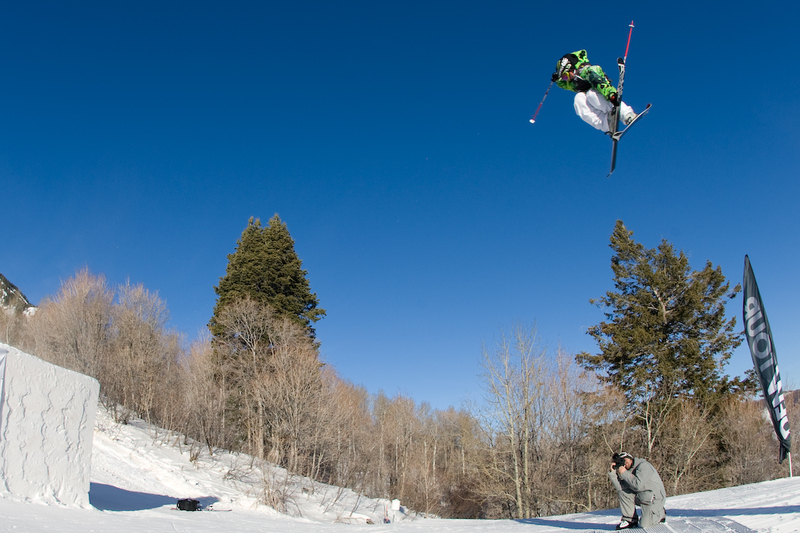 By Shay Williams Freeskier Magazine – Ah, Sunday. 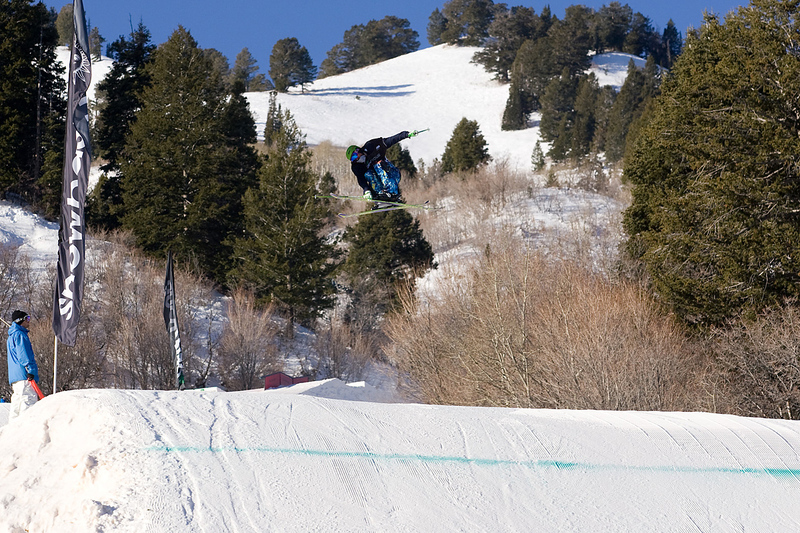 Not usually a day reserved for fun here in Utah, but today, the slopestyle skiers looked like they were having fun dismantling the course at Snowbasin for the 2nd stop of the Winter Dew Tour. A sunrise practice gave way to a sunshine-filled finals, where 12 men faced off in a battle royale today. 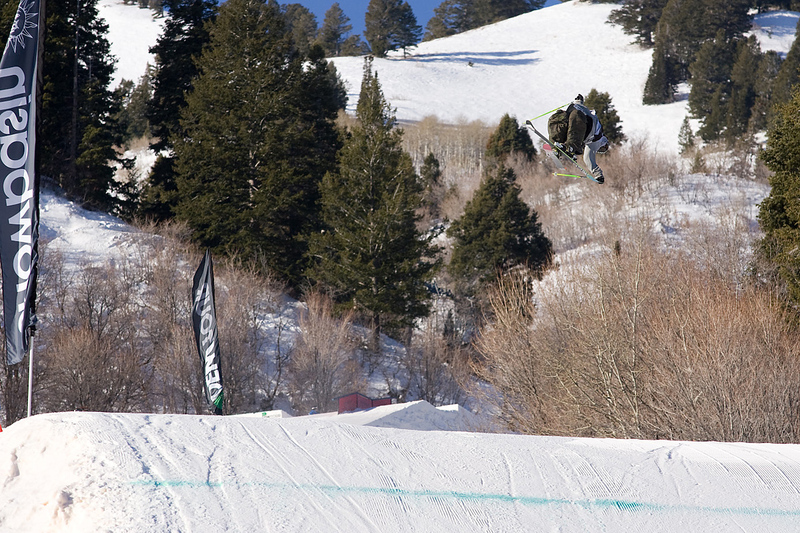 In the end, it was Utah-local boy Tom Wallisch who slayed the hardest and ended up the victor. 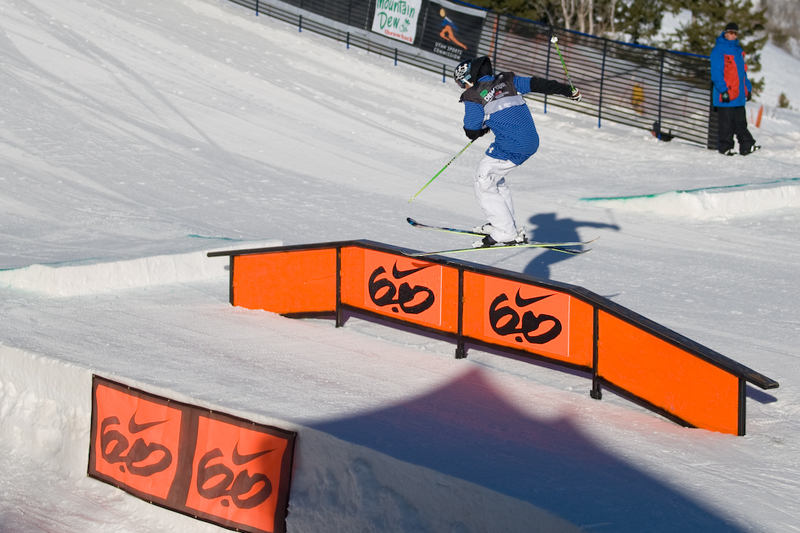 Second place went to the Breck stop winner Andreas Håtveit and 3rd to Teen Heartthrob Bobby Brown, who remained cut-free this stop. 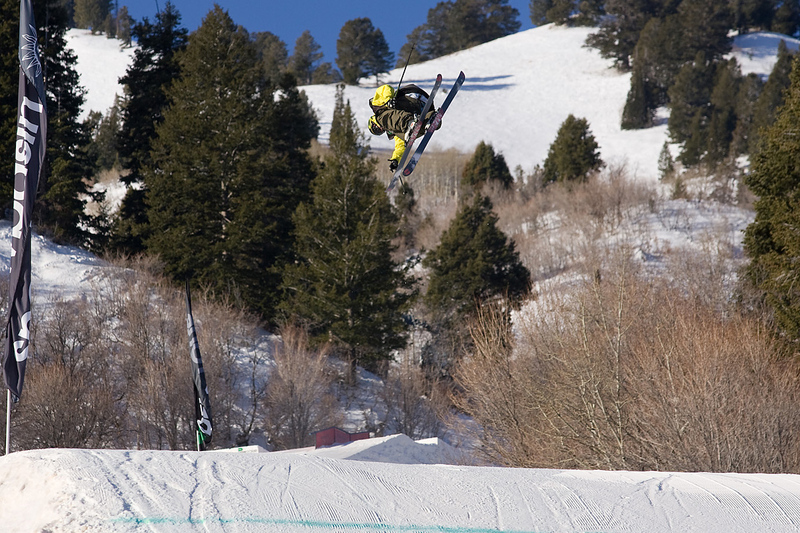 Freeski Slopestyle Finals at Snowbasin from AlliSports on Vimeo. 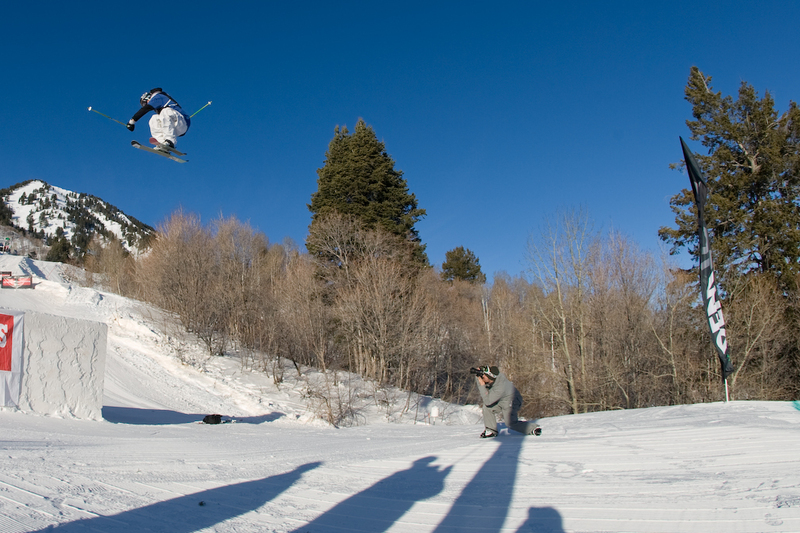 Wallisch, known for his urban panache and ambitions of a rider, combined technical trickery and his trademark nonchalant landings to best the field. 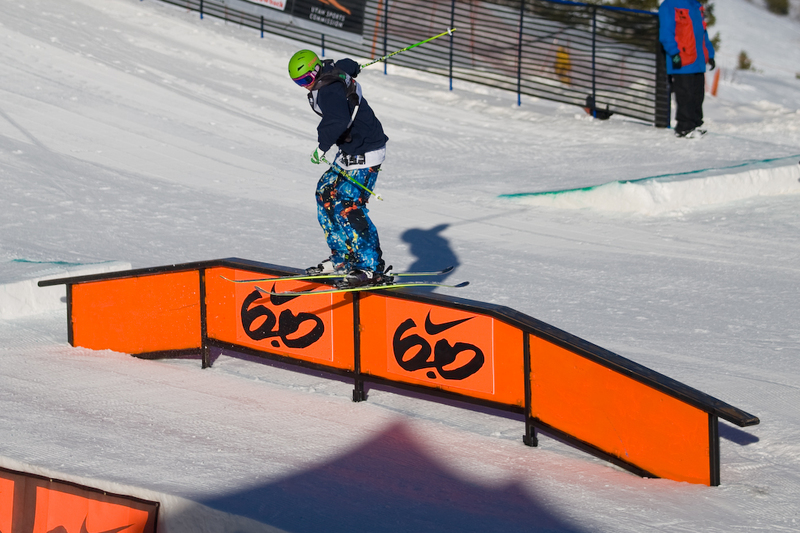 A pretzel up top into a triple line which included a left 900, switch right 1080 and switch double cork 1080 blew the judges minds. 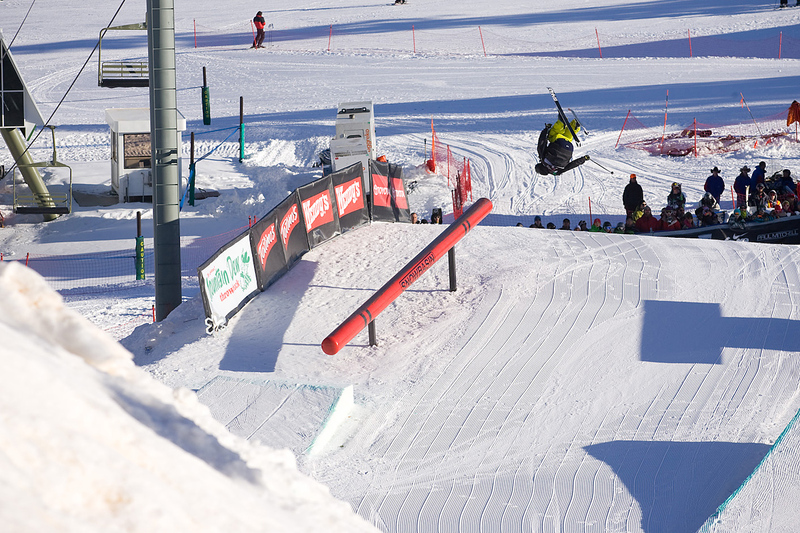 Håtveit, who was outside of the podium before his 2nd drop, threw a switch right 1080, switch 1260 and double cork 1080 and flipped off the rocket rail to snag that 2nd place money. 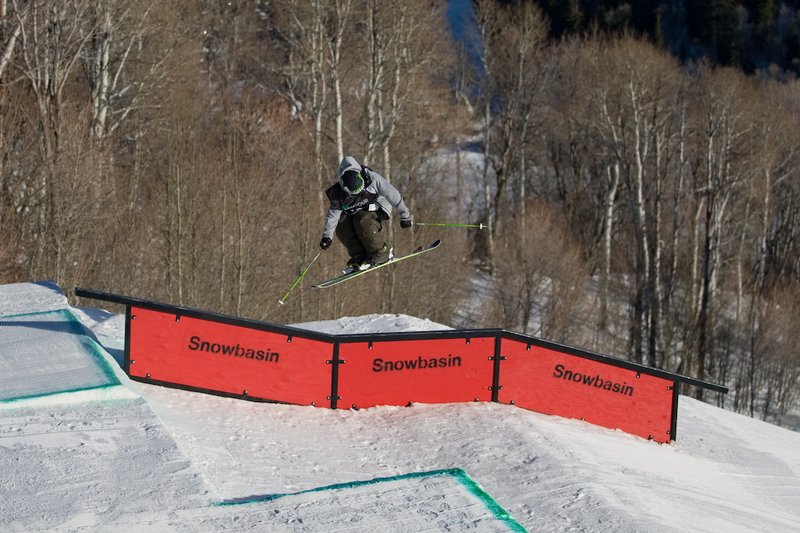 Breckenridge's Bobby Brown put his mark on Snowbasin with a switch right 1080, switch 900 and double cork 1260, taking that last podium spot. Narrowly missing out in 4th was Sammy Carlson who skied like some sort of ski demon hell bent on throwing the run of the day. 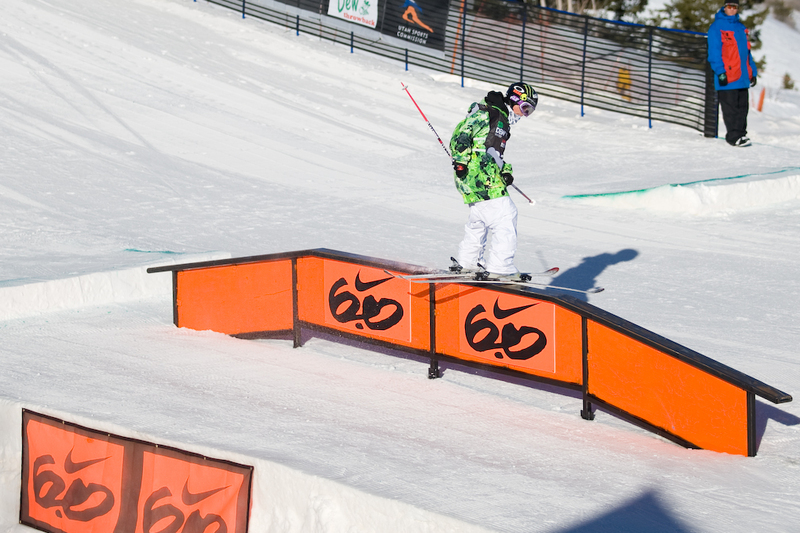 Right 900 to switch 900 to double cork 1080, however, just wasn't enough to stay up in the podium scores. 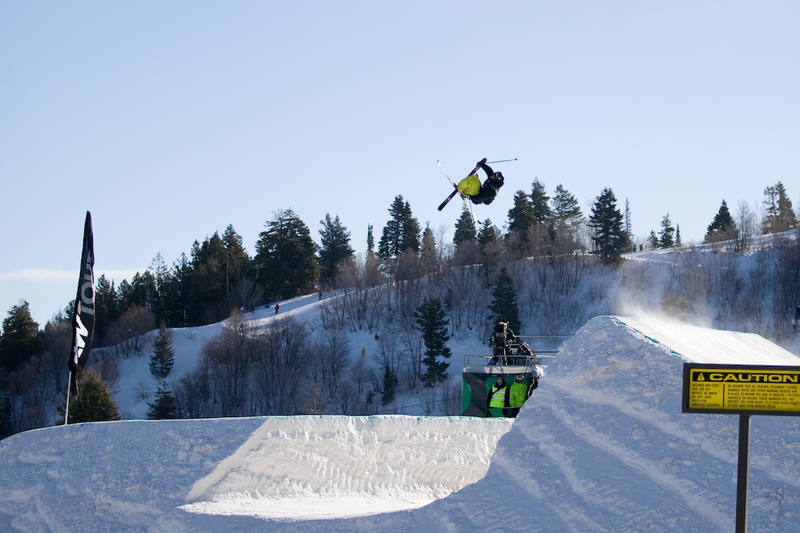 Yesterday's pipe winner and top slope qualifier, Jossi Wells took 5th. 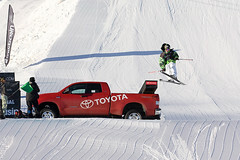 After crashing on a 630 on his first run, the kiwi re-composed and stomped his right 900 to switch 900 to double 1260 to 810 off the Toyota Truck to bump into that 5th place. 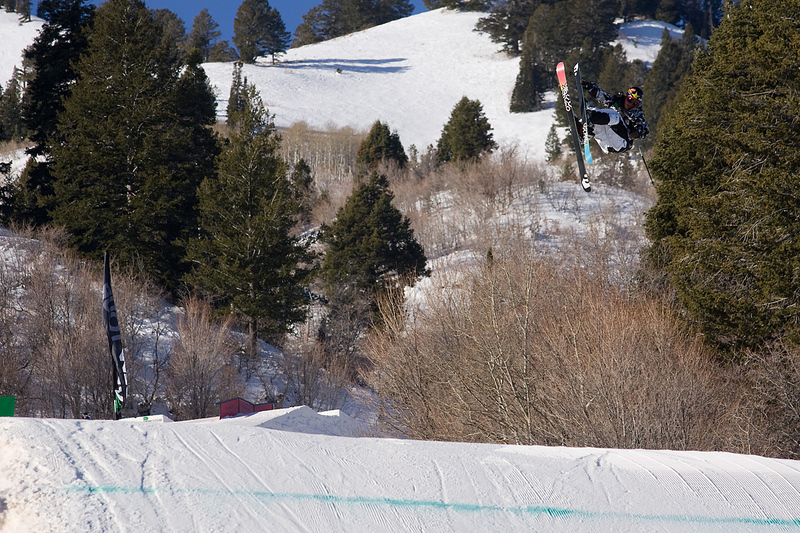 Phil Casabon, the highest-ranked non-double thrower, showcased his trademark smooth style, on the rails and jumps. 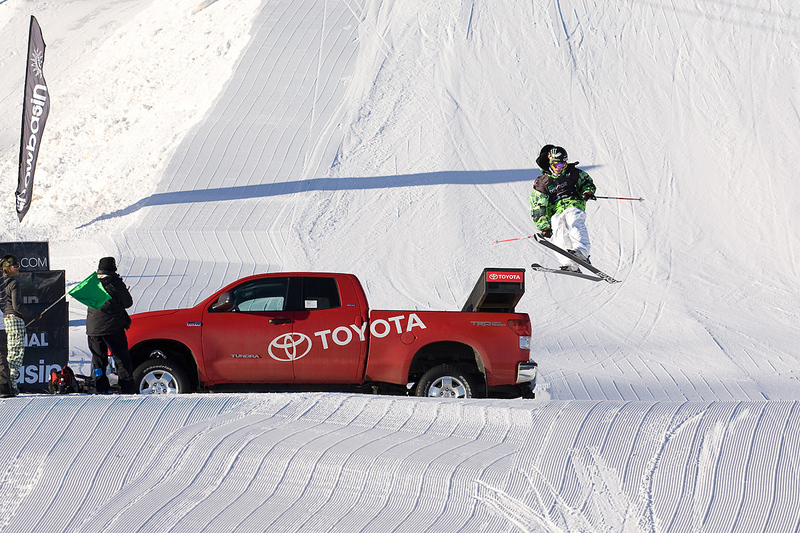 After being scored low on his first run, Phil dialed a 2nd run, ending with a giant switch 1080, good enough for 6th. 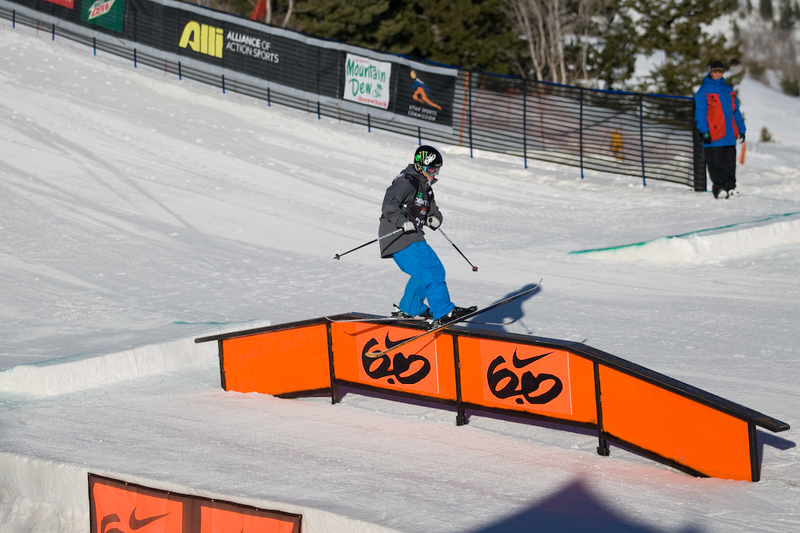 Elias Ambuhl, the only rider to drop two doubles in his run, slid into the 7th place spot. 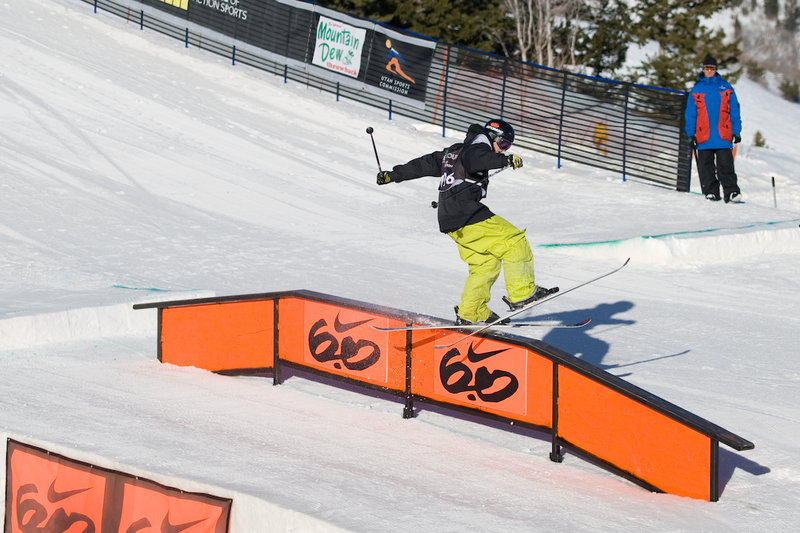 While technically his switch double 1080 to switch right 900 to double cork 1080 was out of the world, his style and stomp factor was a little less than perfect, thus his 7th place finish. Alexis Godbout, another non-double thrower, took 8th. His switch misty 900 was so beautiful that babies cried and attractive women in the crowd fainted. 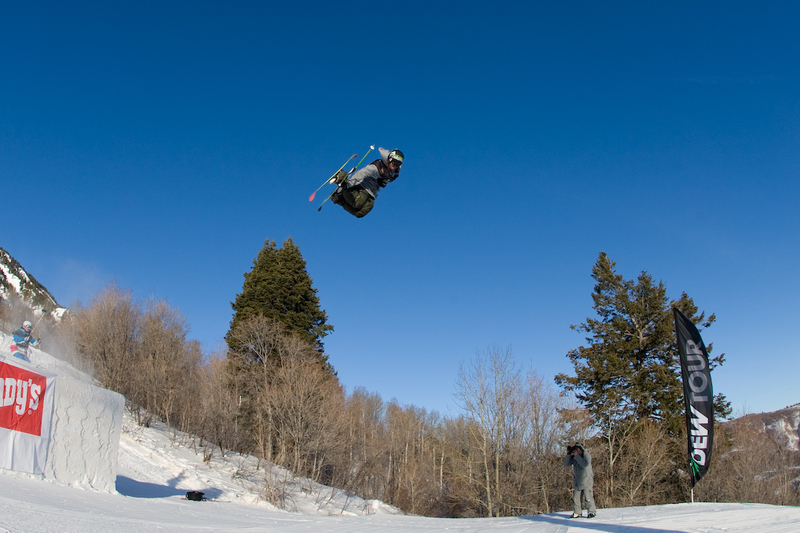 Ian Cosco, who found time between training and qualifying to drop a new episode of Chug Life, grabbed his double 1260 for so long that the medics were scared he would land on his hand. 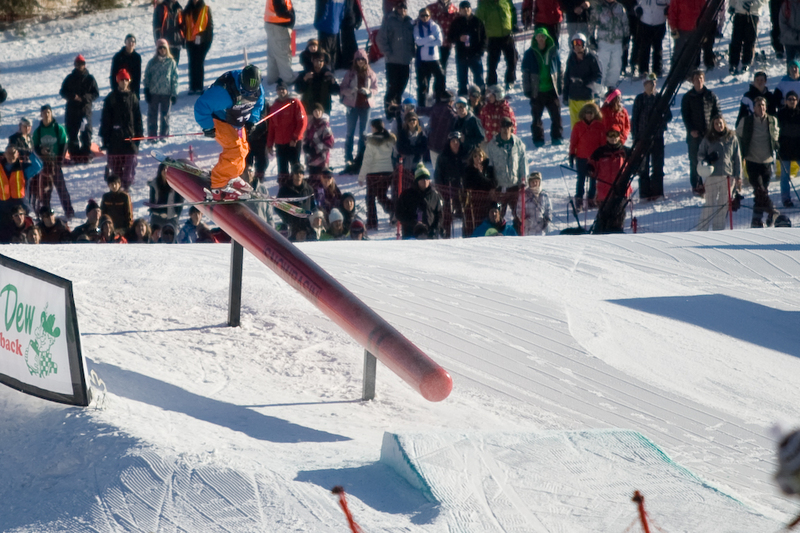 He also dropped another switch flip off the rocket rail, garnering boisterous applause from the crowd. 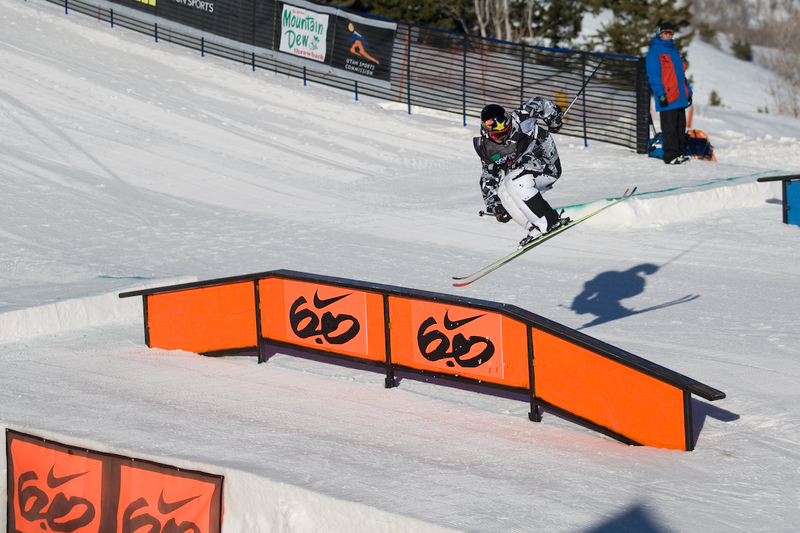 TJ Schiller, who took a horrendous crash his first run, not only took his 2nd run, but stomped a clean right 900 to switch 1080 to switch double 900. TJ's superhuman strength has once again been proven on the battlefield, here in Utah. Charles Gagnier and McRae Williams both stomped two clean runs, yet in every contest, a couple guys have to be in the back of the bus. 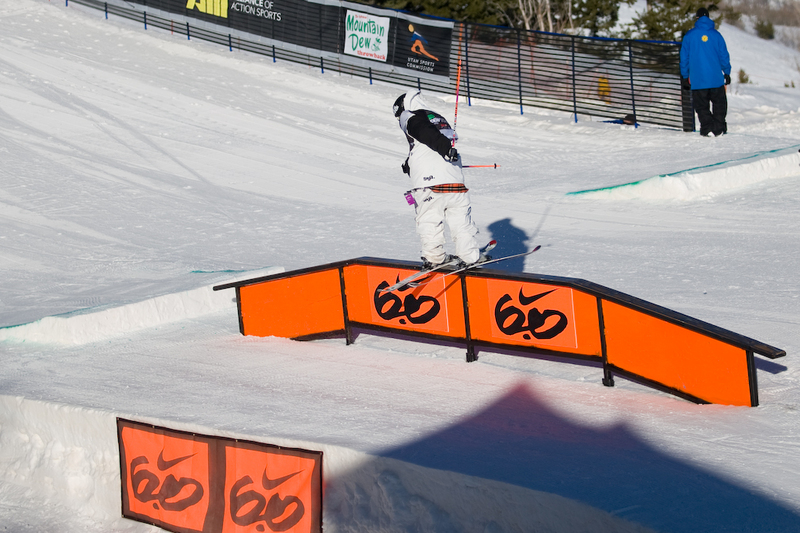 But that only highlights the fact that if super pros and rookies alike land pimp runs and end up in 11th and 12th, the level of riding in the finals must be high. 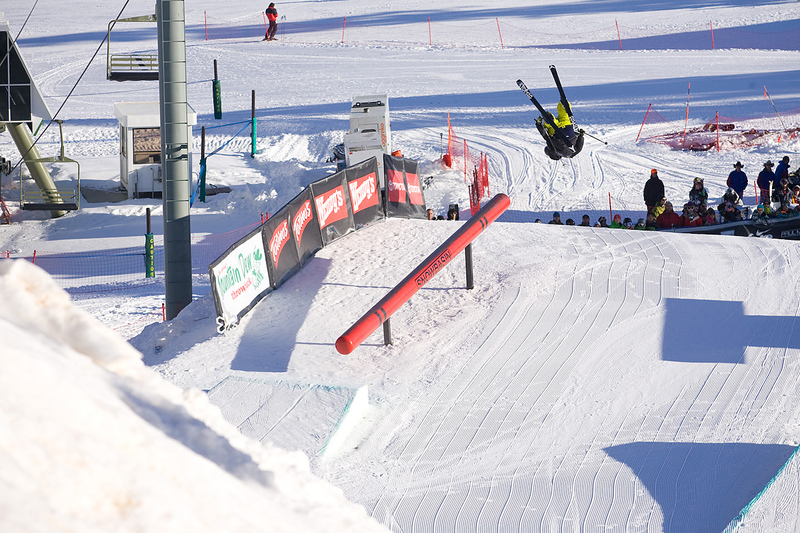 With more and more technical runs meeting more and more stylish runs, the only outcome that can be had is a smorgasbord of slopestyle eye candy. 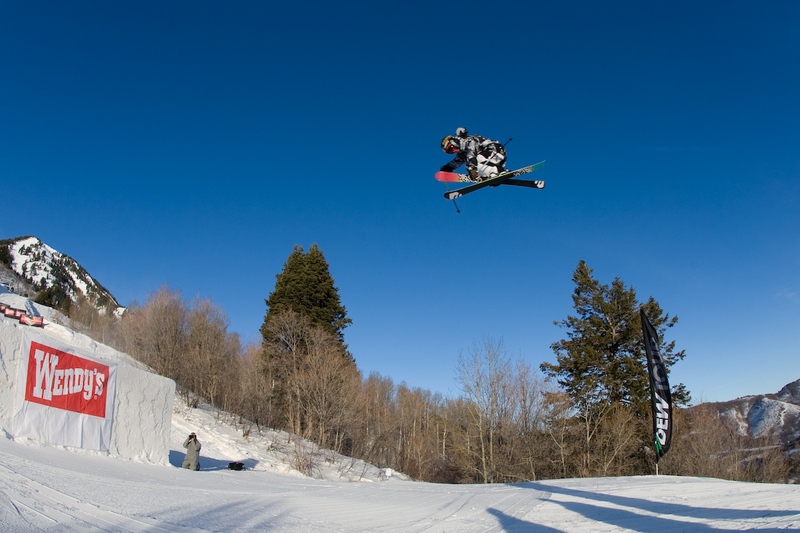 As we close the books on this 2nd stop of the Winter Dew Tour, we can only hope for the same explosion of riding at the 3rd and final stop in Mt. Snow, VT. Thanks for checking in and we'll see you at the next one.